If you have been invited to a holiday party and are looking for the perfect snack to share, check out these fun hot cocoa cake balls. These would also be the perfect addition to a hot chocolate bar. They are so easy to make, although when I dip chocolate it never comes out that pretty. I am sure no one will mind after they taste them. 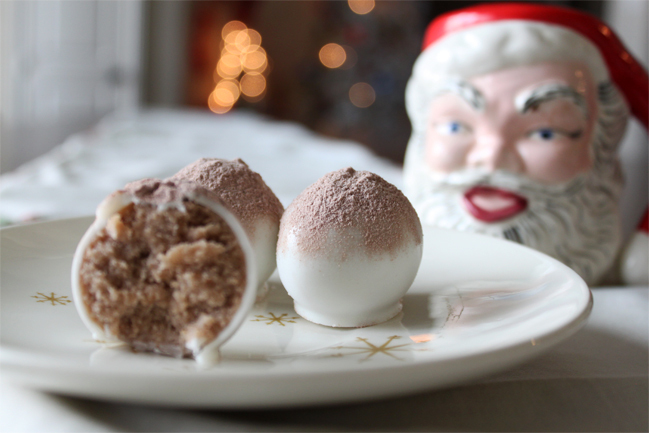 You can get the hot cocoa cake ball recipe over at Sugar Derby.